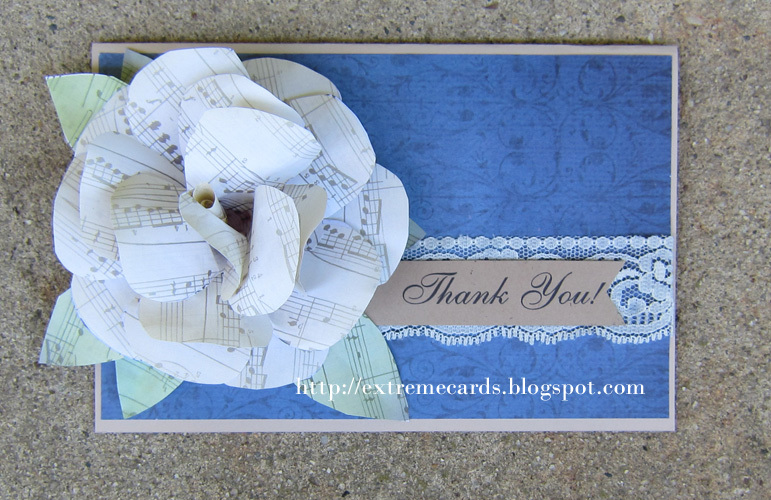 I made this paper rose Thank You card for the one music teacher who, through the magic of school re-assignment, has had one or the other of my children for choir or band or orchestra since 2001. I imported the file into CorelDraw and laboriously fountain filled each piece so the edges would be a little darker than the centers, then printed the pieces on sheet music. So not worth it! Ink the edges if you want an aged look, it would be so much easier. 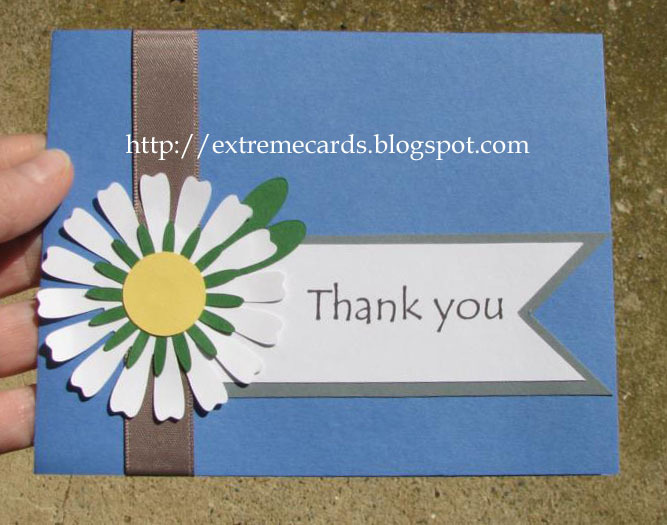 I printed the back side of the paper, too, but found it barely showed on the finished flower. If you want your flower to look like mine you will need to print a second leaf piece and cut it apart to have three extra leaves to fill in the blank spots around the flower. The card layout is nearly identical to the daisy Thank You card I made in May.